Home » Collection » Just before noon Lena Kansler delivers orders to the building at the west corner of the block. Her husband Benny runs the luncheonette. 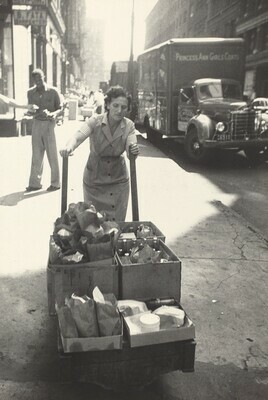 Just before noon Lena Kansler delivers orders to the building at the west corner of the block. Her husband Benny runs the luncheonette.